Spectra Precision Laser LL300-2 Review - Is This The Laser For You? Are you a mid-size contractor looking for a leveling system that does it all? 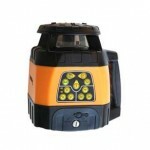 Then the Spectra Precision LL300 Laser Level is the laser for you! 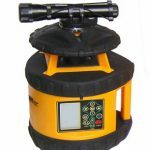 This is an automatic self-leveling rotary laser designed for the mid-sized contractor with the following capabilities: dirt moving, concrete, excavation and other jobs with maximum accuracy. Typical applications include checking and setting elevations for concrete forms and pads, excavations, footing and foundations on small and medium sized commercial construction projects like drug stores, strip centers and mini-marts. The laser has an expansive range 1300 foot working diameter and an accuracy of 3/32 inch at 100 feet. 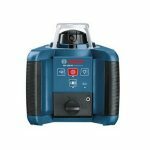 Unlike its competitor, the LL300 laser transmitter is built to withstand a drop of up to 3 feet onto concrete or up to 5 feet when pushed over on a tripod. This versatile tool is also water resistant and easy to use. 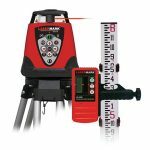 The laser level comes complete with a patented HL450 Laserometer receiver that provides an easily readable digital elevation readout for periodic elevation checks, which increases productivity and eliminates readout errors and mathematical calculation errors. All the parts/accessories of the LL300-1: laser transmitter, HL450 receiver with clamp, tripod and 15-foot 8ths grade rod, come with and fit into one carrying case. The Spectra precision laser offers self-leveling for speed and accuracy and is able to withstand 3 foot drops and 5 foot tripod tip-overs. 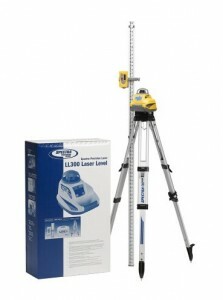 The lasers also weatherproof and dust proof and comes with a tripod kit and 10-Inch Grade Rod (inches). 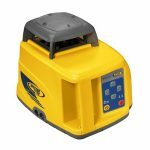 The laser also comes with an optional CR600 receiver and is built to withstand rough working conditions and harsh climates. The laser has a built-in tripod mount with a choice of horizontal or vertical mounting. This tool is extremely precise and easy to use, so much so that it sets itself up instantly when turned on. With a self-leveling range of five feet (at 100 feet) in either direction, laser accuracy is always within 3/32 inch per 100 feet. The HI (height of instrument) alert function monitors the laser and in case of any kind of disturbance, the laser notifies the user by turning off and the HI light begins blinking on the control panel. The Laser LL300 can help workers get jobs done in the fastest and most precise way possible and is designed to give maximum performance in even the toughest conditions both of a weather and work nature. Accuracy:3/32 in. @ 100 ft.
Drop Height on Concrete:3 ft. External Remote Control Operating Range: Up to 164 ft. Provides a long range of up to 1300 ft. The Spectra Precision® Laser LL300 has a robust “hard hat” rotor protection design that provides standout drop and knock-over protection and protection in all climates such as inclement weather. Because the laser is built to endure even the severest of drops, from 3 ft (1 m) directly onto hard surfaces or up to 5 ft (1.5 m) when knocked over off of a tripod, this means there is less risk and potential costs due to possible damages from accidental dropping and less maintenance costs over time during the duration of product life. The LL300’s fully automatic’s ability to self-level provides quick and precise setup. There is never any downtime caused by power loss thanks to the laser’s rechargeable Ni-Cad battery unit or alkaline batteries that keep the unit operational in the event of a power loss. Grade matching for basic slope work is allowed for, thanks to the single cross-axis manual slope mode with cross-axis self-leveling, all the while maintaining accurate and precise work in the cross-slope. The robust, easily handle able Spectra Precision® Laser HR350 receiver can be used either as a handheld or rod-mounted unit for basic to mid-grade leveling and alignment jobs. The HR350 Receiver features a durable composite unit that is both incredibly light and extremely durable and capable of sustaining a drop of up to 5 feet (1.5 meters) onto very hard surfaces, making it very easy to work with and use. Beam elevation is displayed on both the front or the back of the unit so readings are very easy to see and determine even in the poorest of working conditions. 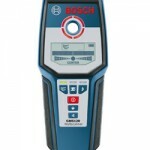 A very fast and efficient laser tool that gets the job done efficiently and accurately. While it is a superior tool in its class and the majority of users are satisfied with its performance, the biggest complaint seems to be that the measuring stick is metric. In particular, in the United States where inches and not metric are used, customers were disappointed by the lack of the appropriate unit of measure and wanted to know why Spectra would include a metric stick for measurement with a laser that is to be sold in the United States. One American user joked that the metric stick was completely useless to him and that it didn’t even make a good fishing pole. However, the general consensus is that this is a fantastic laser and that the only problem is that it should be offered with an inch/tenths stick instead of a metric stick. American users feel that the tool should offer an option in which Spectra buys back the metric pole and replaces it with a useful inch/tenths stick. As it is, there are no substitutions and the buyer would have to pay out of pocket and make an additional purchase for an inches pole. Bottom line: If you’re looking for a precise, efficient, professional precision laser, this is the right tool for you!